Using a computer requires sustained focus at near distance, typically for sustained periods every working day. For your eyes to focus a clear image at a close distance, the muscles around the eye must work harder (harder than they do for seeing in the distance). As the day goes on, the muscles must work harder and harder to keep the near image in focus. This strain of the muscles or ‘eyestrain’ can cause headache, particularly if you have a problem with your vision. Headaches are normally experienced as tightness in the temples or behind the eyes. 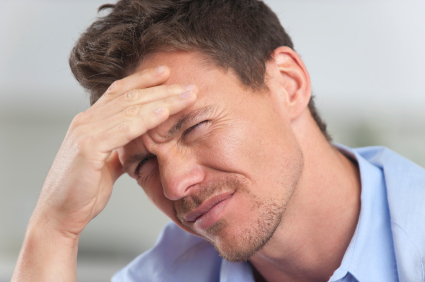 If you do suffer headaches, you should have yours eyes examined at the earliest opportunity. Contact us to book your appointment.